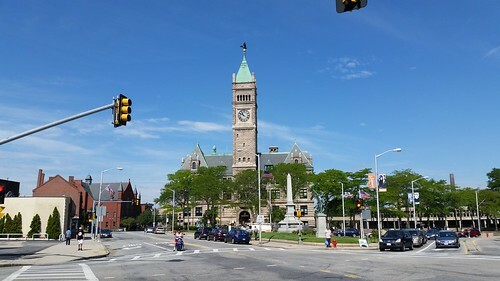 Executive Session – Regarding matter of litigation, namely Huot et al v. City of Lowell, public discussion of which could have a detrimental effect on the City’s position. Minutes of City Council Meeting January 29th, for acceptance. Motion Response – Manger – Youth Build will refurbish city Nativity Scene figures. Informational – Inspector Staffing and Inspections. Question about what type of training people on appointed boards receive from the city. The city is planning training sessions, especially for the Planning and Zoning Boards and also the Conservation Commission. Also take mandatory state ethics training. While the city does a lot of inspections, the city has been unable to conduct all apartment inspections that are required by city ordinance (every three years). That’s primarily because tenants or landlords won’t cooperate in scheduling an inspection. If that persists, the landlord is fined up to $300 per day. Informational – Marijuana Revenues – City entitled to 6% total, however, just 3% goes to general fund; the other 3% has to go to certain dedicated uses such as law enforcement, traffic improvements, etc. Communication-Appoint Philip L. Shea to Lowell Housing Authority to fill unexpired term of Patricia Sullivan Talty – endorsed unanimously by council. Mr. Shea speaks briefly, thanks the councilors for letting him go back to the Acre which is where he grew up (in Lowell Housing Authority property). Recalls his time as a city councilor from 1970 to 1974. Communication-Appoint Caleb Cheng to Planning Board as Associate Member. Approved unanimously. Vote-Accept Gift from the Vincent J. Gallagher Middle School PTA in memory of Lt. Patrick Burns for use by the Police Dept. Approved unanimously. Vote-Auth City Mgr enter into a contract with a Construction Management At-Risk Firm-HCID Parking Garage Project. City Manager explains that under this method, the construction manager and construction company come on board and then participate in a redesign the reduces costs while preserving the number of spaces, however, the existing design will be retained for the most part. The city has already spent $2mil on design of the garage. Passes unanimously. Vote-Authorize Filing Article 97 Special Legislation for new Lowell High School – Unanimously approved. Transportation SC February 4, 2019. Subcommittee Chair Elliott reports the meeting was about Meryl Drive being one way for 60 days. The city will contact Google Maps and Waze and other map direction software providers so they alter their recommended routes to avoid that street. They are also considering signs that say No Trucks or Local Traffic Only. Also consider dropping speed limit to 10 mph. Reports neighbors in attendance at the meeting were pleased with the recommendations. To be clear, commercial vehicles will be restricted from using Meryl. Traffic engineer has to research what speed limit may be posted there. She also will research whether the council has the authority to enact a “local traffic only” ordinance and how it would be enforced by police. Claim – (2) Property Damage. Misc. – Brandon Matte request reimbursement of towing charges. Councilor Mercier – Req. Resolution that the Lowell Veterans Commission be included in any constructive participation in City decisions and activities and allowed to be provided notification and the opportunity to be heard on any actions affecting its veterans. Councilor Mercier says she filed this motion out of respect to veterans. It came about when she earlier filed a motion about the World War I “Doughboy” statue but didn’t realize that the Lowell Veterans Commission had not been contacted in advance about this. Councilor Elliott – Req. Parks & Recreation SC meet to discuss renaming of park on Branch Street to Palin Park. Councilor Elliott realizes it requires a decision by the Board of Parks but he believes it would be helpful to first have a community discussion about this. He says the Latino community is very pleased with the new Clemente Park which is adjacent to the Bartlett School and that the Latino community supports the renaming of the park. Councilor Nuon says the park has become a social and cultural center for the Cambodian community which uses it extensively (for volleyball and bocce). Passes unanimously. Councilor Cirillo – Req. City Mgr. have the proper department look into the City of Lowell forming a partnership with The Kerouac Project of Orlando, Florida. Kerouac lived in this cottage in the late 1950s. It is now used for an “artist in residence” program. Councilor Cirillo would like the city to contact this organization and explore ways to collaborating on future events. ANNOUNCEMENTS – Councilor Nuon reports on last Saturday’s Youth Summit at Lowell Community Health Center. The young people spoke about many important issues.